Chula was reunited with her family Wednesday, police said. ​CORONA — Chula is back home. 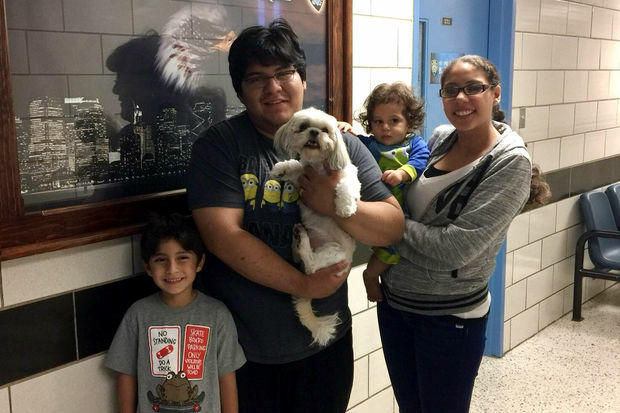 Mariela Saquipulla, 18, returned the 2-year-old Shih Tzu to the 115th Precinct on Wednesday after stealing it from a fenced-in front yard on 37th Avenue, near Junction Boulevard, six days earlier, NYPD officials said. Surveillance video released by police showed Saquipulla scurry away with the pilfered pooch. The dog was reunited with his smiling family Wednesday night at the precinct. Saquipulla, of East Elmhurst, was arrested and charged with petit larceny and criminal possession of stolen property, according to police. She had not been arraigned as of Thursday morning, records show.